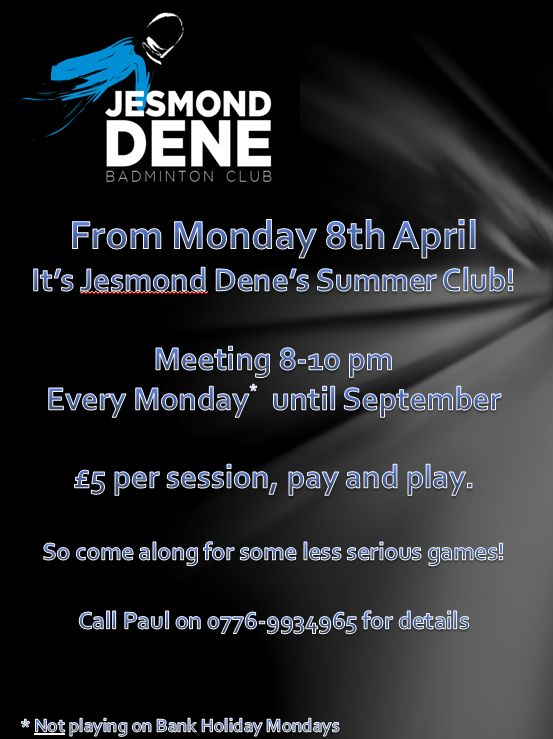 Welcome to the Jesmond Dene Badminton Club! Established over 20 years ago in the Jesmond area of Newcastle, we are an enthusiastic, friendly and competitive Badminton club that caters to all experience levels. You can now find us up the road at the Tyneside Badminton Centre in Slatyford. We are proudly affiliated with BADMINTON England, which allows us to offer players the correct environment and encouragement needed for everyone to enjoy playing Badminton. We’re always on the lookout for new members, so if you would like to join or even just visit the club, everyone is welcome. See our visitors page for more info. Check out our latest photos here!